MPTG has many ways to volunteer to support the school. For larger events, this page will also direct you to the sign-up genius website. If you're interested in working with the kids, teachers need volunteers in the classroom for routine activities and field trips, contact our Classroom Volunteer Liaisons. Lead or support any one of the many MPTG events. In the fall, this includes the Fun-"K", Ice Cream Social, Corn Maze, and Fall Festival. 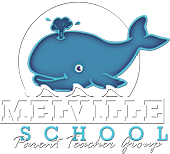 Join a team, share the work, meet friends, and have fun supporting Melville! Use your skills to help update the school directory. This document goes out early in the year and keeps parents connected to each other. Manages the various fundraising programs like BoxTops, Stop & Shop Rewards, Clements, or Benefit Mobile. Help out your child's teacher by supporting the them directly in the classroom.